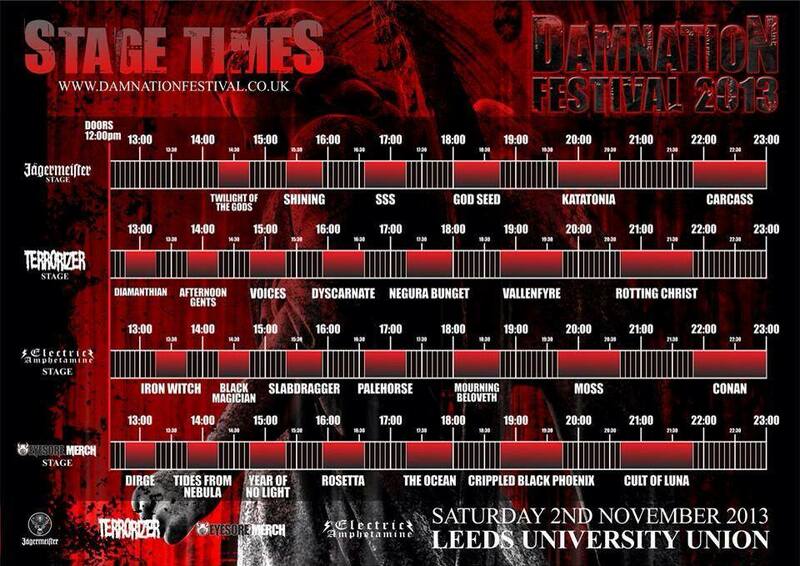 Damnation Festival issues Stage Times – Burning Fist! Image • October 14, 2013 • Burning Fist! Damnation Festive have issued this years stage times and the running order for the shows. 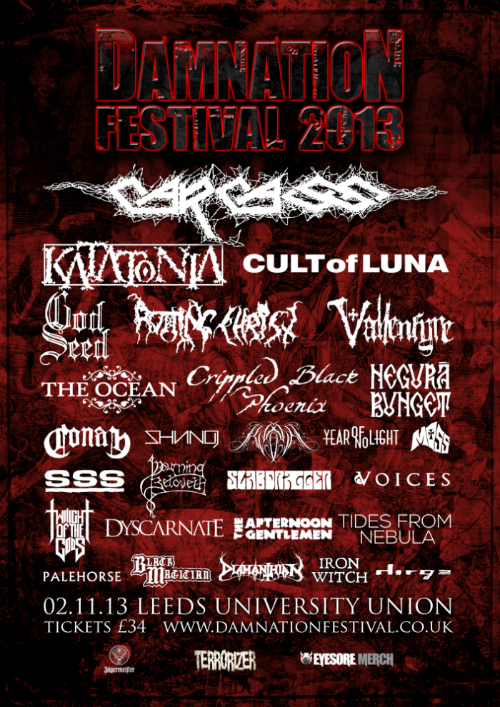 Featuring such heavy weights as Carcass (Headlinging), Cult of Luna (Co-headlinging), Valenfyre, Katatonia, Rotting Christ, Moss, Twighlight of the Gods, Voices, God Seed, Shining (Norway), the festival is held in Leeds (UK) University on November 2nd 2013, and promises to be a real treat for Metal fans. Posted in Metal NewsTagged Carcass, Cult of Luna, Damnation, Damnation Festival, Festival, God Seed, Katatonia, Leeds, Leeds University, Moss, Rotting Christ, Shining (Norway), Stage Times, Timetable, Twighlight of the Gods, UK, Valenfyre, VoicesBookmark the permalink.